This lavish, large-format book brims with specially commissioned photographs portraits, images at work, or of places of inspiration  and incisive interviews: the artists open their minds as much as their studio doors. Sanctuary is full of insights, revelations and thoughts on the modern art world and contemporary art practice, giving a vivid sense of what it means to be an artist at work today. LONDON.- From Botticelli to Bacon, artists have always invested their personalities in their working environments, but these private spaces, often containing the visible remains of artistic ingenuity, toil and torment, are usually kept behind firmly closed doors. 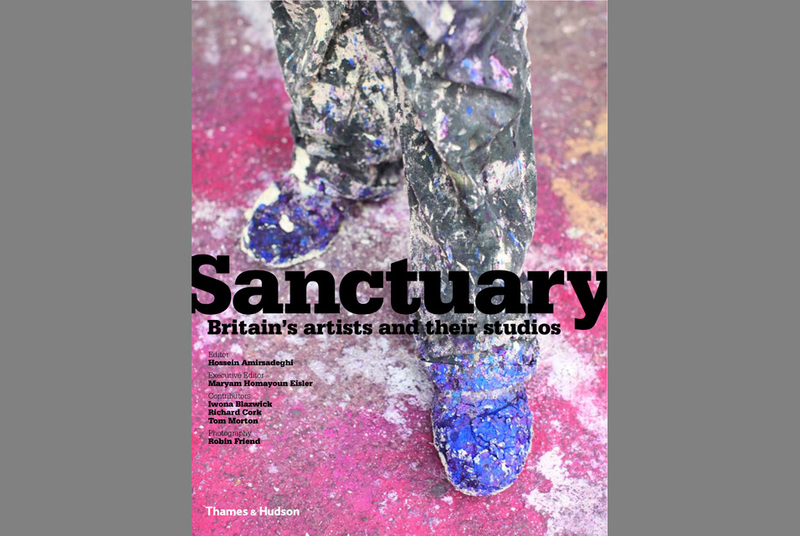 Sanctuary: Britains Artists and their Studios gives a rare and privileged insight to the studios and inspirations of 120 of Britains greatest living artists working today, both in Britain and abroad. Sanctuary features a stellar cast of artists including Frank Auerbach, Ron Arad, Fiona Banner, Peter Blake, Jake and Dinos Chapman, Martin Creed, Tracey Emin, Gilbert & George, Susan Hiller, Howard Hodgkin, Polly Morgan, Cornelia Parker, Grayson Perry, Paula Rego, Juergen Teller, Gavin Turk, Keith Tyson, Rachel Whiteread  the list is extraordinary - and their work encompasses many different ways of thinking about and making. Iwona Blazwick gives an A-Z of studios with a twist; Richard Corks Studio Visits gives a personal and vivid tour around the studios of Francis Bacon, Lucian Freud, Bridget Riley and more. Tom Mortons Field Notes on British Art in the Third Millennium is an intelligent sketch of the wider wilder world that all artists now inhabit. Hossein Amirsadeghi is a writer, publisher and editor. His recent titles include Frozen Dreams: Contemporary Art from Russia, Istanbul Contrasts, Art & Patronage: The Middle East, all co-published with Thames & Hudson. Maryam Homayoun Eisler was executive editor of Arts & Patronage. Iwona Blazwick is Director of the Whitechapel Gallery. Richard Cork is an award-winning art critic, historian, broadcaster and curator. Tom Morton is a writer and curator based in London. Photographer Robin Friend is a graduate of the Royal College of Art.